A large versatile sideboard with simple clean lines just having 4 doors, manufactured from solid Walnut a very dense robust timber with a dense grain and lovely patterns and swirls you will only find in natural solid timber. 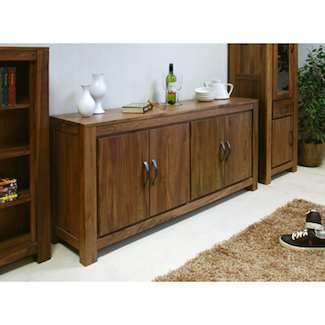 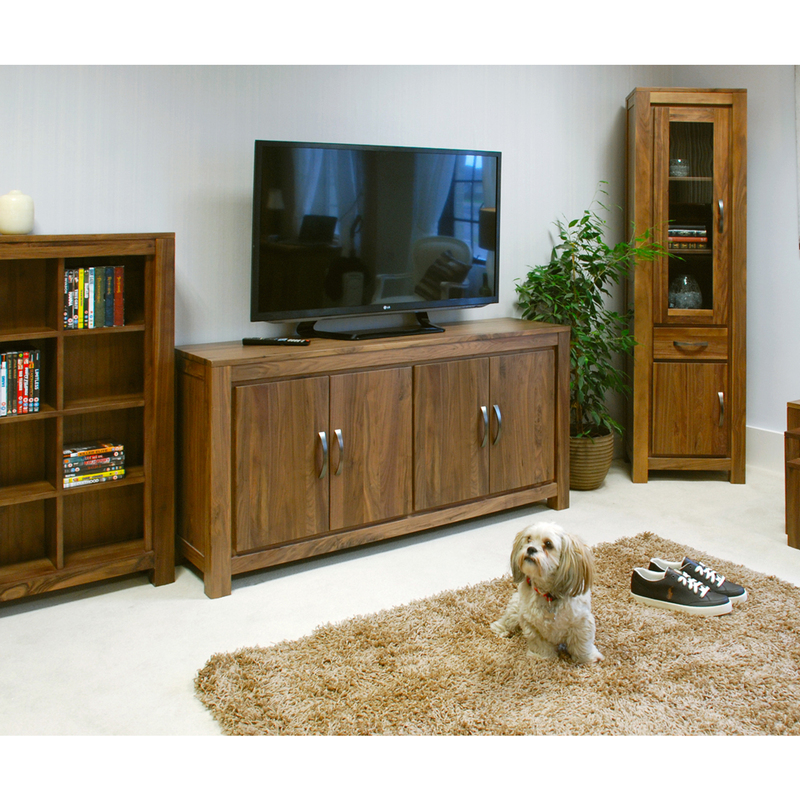 A hugely practical sideboard with 2 large cupboards and internal shelf. 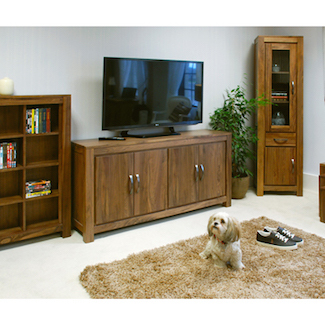 Hand made and finished to an extremely high standard of craftsmanship.